1. Am I too old for this sport? Ask Russian freediver, Natalia Molchanova the same question and see what she says. The 51 year old athlete holds all the self powered discipline world records including CWT, FIM, CNF, DYN, DNF and STA. She also currently holds the variable ballast record at 127 meters. She is a true testament to the fact that you do not age out of freediving the way you do in conventional sports. American freediver, Bill Graham is also pushing the limits of his static breathold at 72 years old. As we get older a few changes occur, making freediving an ideal sport. Our metabolisms slow, less oxygen going to digestion, becoming a more conservative body. There is a certain mental fortitude earned with age. Imagine diving without all the testosterone…guys! Serenity of mind is imperative in deep diving and is more effortlessly obtained for the older crowd. So, no. You’re not too old for this sport. 2. Which course should I take? This depends on your goals for the sport. The two day, Freediver level course is two days and maxes out at 66′ of depth. It is also less than half the price of the Intermediate course at $350. This course provides, most importantly, all the information and training you need to be a safe diver. It also discusses breathing techniques, equalization techniques and touches into physics. 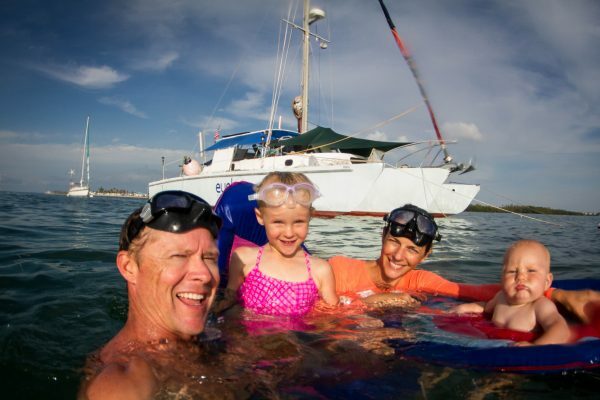 This course is perfect for the beginning freediver, the avid spearo or for those living in areas without a lot of depth (I usually recommend this course to our North Carolina students because the continental shelf means we lack depth). 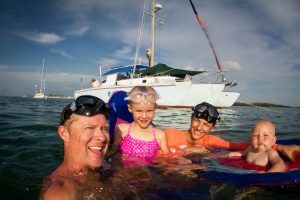 The Intermediate level course is a four day course maxing out at 132′ of depth. This course really focuses a lot more on techniques for deeper diving. The course goes into detail describing the physics and physiology of freediving. The course runs $750 and gets you two to three ocean sessions and two pool sessions. This course is perfect for those with freediving experience already or those really interested in exploring the depths of their ability (pun intended). 3. How do I prepare for a course? We do not recommend participating in any breathold activity before taking a course. Plus, we teach you training techniques during the course. However, there are a few things you can do to prepare better for the type of activity you are about to encounter. A. Equalize your ears about 200x per day. During a freediving course you are asking your ears to run the equivalent of a marathon (not a scientific metaphor but you get the point). What do you do in your daily lives to prepare your ears to equalize somewhere around 85 to 100 times per session? The answer is probably nothing, unless you’re a freedive instructor, in which case you don’t need this advice anyway. Equalize your ears often a couple of weeks before a course to get them ready for the marathon they are about to run. B. Get off the dairy. Dairy such as the lactose in cow’s milk will either cause the mucus you produce to be thicker or cause you to produce more mucus. We are not sure which happens but one thing is certain, the increased mucus will make equalization exponentially harder. This doesn’t mean you cannot each a conservative amount of cheese on sandwiches and such but kick the dairy for a month and reap the benefits of easier equalization. If you need a testimony about the effects of nixing dairy, ask national record holder, Erin Magee. Should could barely equalize while Scuba diving, quit dairy, and went on to beat one of the longest running national records in the country! 4. What results can I expect from a course? Typical results during a four day, Intermediate course include a 4 minute breathold and 100 feet of depth. Of course results vary but these are common statics and depths reached. The two day, Freediver level course usually sees around 3 minutes of breathold and 66 feet of depth. Results have little to do with previous experience or athletic condition. At this level, most people are limited by their inability to relax.